When I graduated from medical school in 1977, sports medicine did not really exist as a career. 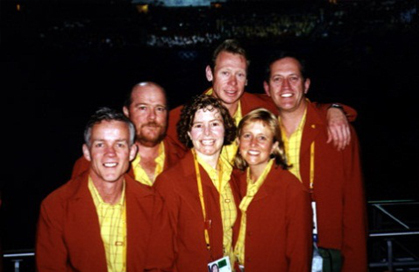 There were a couple of prominent sports medicine docs around in Olympic teams but they were trained in rheumatology (Brian Corrigan) or orthopaedics (Howard Toyne). After 18 months hospital work in Melbourne I headed over to the UK to “practice on the Poms”. This involved initially an orthopaedic job in Kingston-on-Thames in the south west of London. My first exposure to sports medicine was a half day seminar held at Kingston prior to a rugby international at Twickenham which was just down the road. At that seminar I met Peter Sperryn then secretary and driving force behind BASM and co-author of the then sports medicine bible, Sperryn and Williams. He told me about a BASM one week introductory course to be held at Loughborough and I subsequently attended that. On returning to Melbourne in 1982 I undertook the combined RACGP/ASMF sports medicine course in 1983. This involved one afternoon a week and was an excellent course. It was there I first came across Dr Fred Better who was to be a major influence and supporter of my sports medicine career. Sadly Fred passed away some years ago, but I was honored to give the eulogy at his funeral and initiate the annual FC Better lecture at Olympic Park Sports Medicine Centre. Two significant things happened in the years after that that changed my life and led to the development of sports medicine as a medical specialty in Australia. 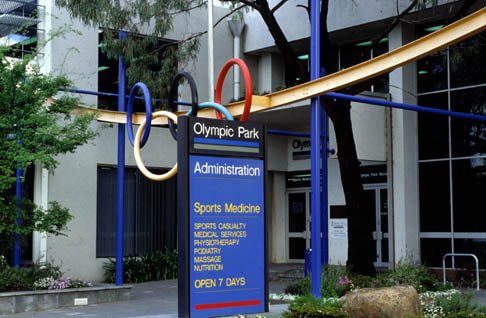 In 1985 a meeting was held to form the Australian College of Sports Physicians, and in 1986 the Victorian Government invited tenders to open a sports medicine clinic at Olympic Park. 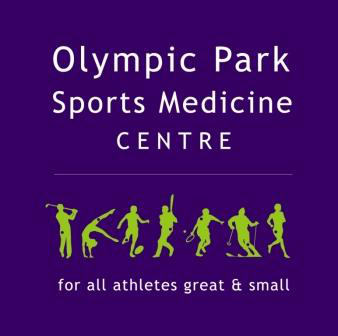 In 1986 the Olympic Park Trust called for tenders for a sports medicine centre to be established on the ground floor of the Administration building in the Olympic Park complex. At that time Olympic Park consisted of an athletics track, a greyhound stadium, and the former Olympic pool then known as the Glasshouse which was used for basketball. At that time the Australian Sports Medicine Federation (ASMF now SMA) was running a sports medicine clinic at the City Baths in Swanston Street. The clinic was in financial difficulty so a group of us (Peter Brukner, Fred Better, Peter Harcourt) proposed to ASMF that we would tender for the Olympic Park site then privatise the City Baths clinic and move the practice there. We were successful in our tender and the clinic opened in February 2007 with ASMF retaining a 10% share in the clinic. The other shareholders included myself, Peter Harcourt, Fred Better and the physiotherapist from the City Baths Mary Kinch who became our first full time practitioner. The Clinic was initially staffed by a number of part time doctors, Mary Kinch and Clive Lipinski (physios), Nick Massaro (massage), Karen Inge (dietitian) and Clare Harding (admin). The clinic grew rapidly and I gave up my general practice in McKinnon and commenced fulltime as Director of the clinic in July 1987. Some of the doctors in the early years of OPSMC were Fred Better, Chris Bradshaw, Karim Khan, Sue White, Paul Blackman, Andrew Jowett, Karen Holzer, Tim Barbour, Bruce Mitchell and Paul McCrory. Physios included Mary Kinch, Kay Crossley, Paul Coburn, Craig Bosworth, Henry Wajswelner, Ian MacIndoe, Simon Boag, Dave Sagar, Gary Nicholls, Tony Ward and Anthony Schache. OPSMC has been at its Olympic Park site now for 15 years. In 1997 we opened another clinic at Albert Park. 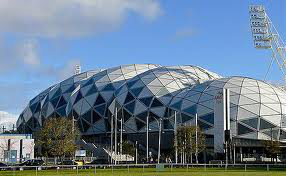 With the building of the new rectangular stadium now known as AAMI Park at the Olympic Park precinct in 2009, the “white” building which had been the home to OPSMC for 20 years had to be demolished and arrangements were made for OPSMC to move to the new stadium. OPSMC has always had a strong commitment to servicing elite sporting teams. Soon after we commenced in1987 we entered into a contract with Melbourne Football Club to provide all their medical and physiotherapy services. This was the first time that a multidisciplinary clinic had a contract with a football club, previously it had just been individuals with contracts. 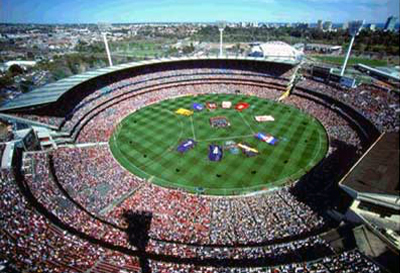 Melbourne who had not played finals football for 23 years prior to1987 then embarked on a successful periods, famously losing the 1987 Preliminary Final when Jummy Stynes gave away a 50 metre penalty, and then playing in a losing Grand Final in 1988. We looked after Melbourne for four seasons. Plus our doctors are currently working at Geelong and St Kilda. For a number of years our first AFL premiership involvement proved elusive with a number of heart breaking grand final losses.